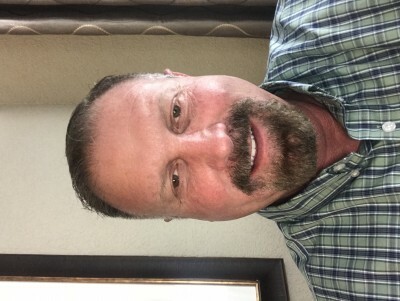 Stuart Stone has been casting for over 20 years and has cast Hundreds of commercials and cast thousands of actors for domestic and worldwide television media. He has built a reputation on drive, creativity, passion and innovation in supplying the Commercial, Television, Film & new media. Stuart is a Clio and Emmy award winning casting director and is best known for many of his unique, high profile campaigns for Apple, Purina, Kellogg's, Pizza Hut, Jeep, Home Depot, Sony, and Subway, to name a few. Stuart has cast Union, Non-Union and real people around the country and his steadfast commitment to finding what the client is looking for has enabled him to work with many established production companies, directors and advertising agencies. While casting Stuart has created workshops and classes utilizing his knowledge from behind the camera to teach actors what works in front of the camera to give memorable auditions and book the job. Stuart is also the author of the top selling book "The Keys to Commercial Acting". He is often invited to guest speak and teach around the country His passion in casting and teaching is why he is a go to casting director and acting coach. Heading out to work in a place like Hollywood can be overwhelming ,confusing as well as very costly. In this workshop I will give all participants a personal plan on how to head out to a Major market like Hollywood or New York .We will cover many of the ideas I talk about in my book so you will have a clear understanding of how to time your move, land an agent, Find a place to live, Budget your money, Workshops, Photographers and avoiding Scams . We will take out the stress, fear and worry. You will also learn how to make sure that before you pick up and move that you have been signed by an agent and have the proper representation so when you arrive you can start auditioning. If you have thought about making the move to work in TV Film or Theater you will not want to miss this workshop. I guarantee you will save time money and be hugely informed and give you a clear understanding of the process. I want to make sure that you are well prepared and am looking forward to helping you. This workshop is designed for any actor that wants to be On TV or in Film. I will teach actors the some of the key techniques and skills for working in front of the camera. Participants will gain the understanding and gain the basic of working in TV and Film as well as how to audition for these roles. We will video everyone to help them better understand the process in reading for principle roles as a co-star, Guest-Star and Star of a TV show or Movie. Students will leave in-Powered and more confident as an actor.